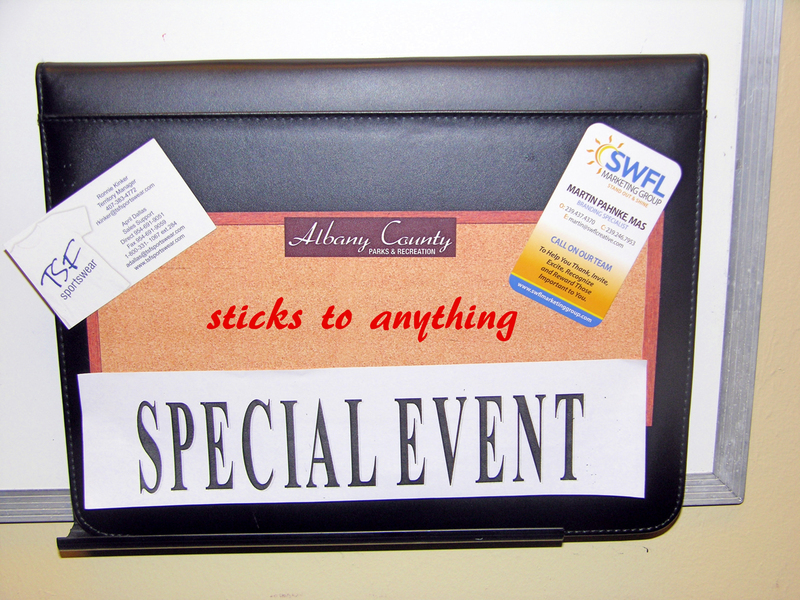 From time to time we come across a new promotional item that will work for many industries. 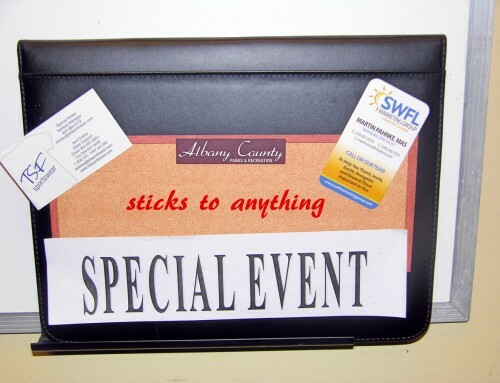 What makes promotional products work great as an effective media you ask? 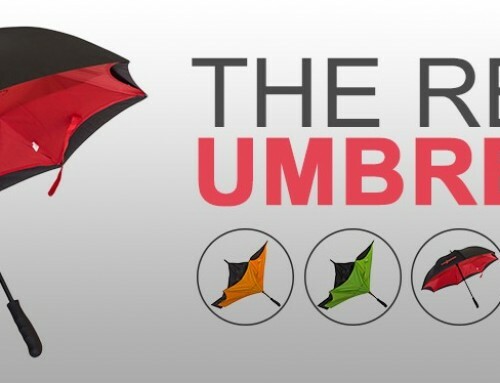 The marketing message is delivered to the target audience on useful items. Consequently they are often well received as a gift and thus the item and the message will remain in use long term. 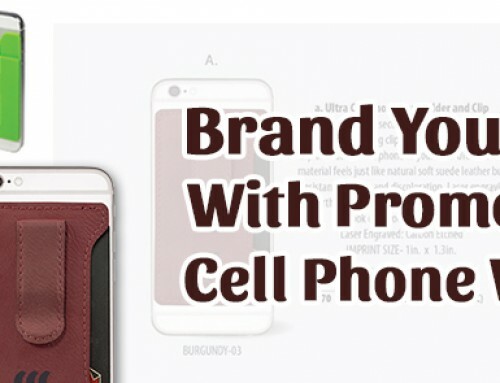 A company’s rep often uses promotional products on sales calls to be favorably remembered long after the meeting is over. When the customer buys, it is often because the item or service they are buying solves a problem (the only or best solution compared to alternatives). So for example as in the image above would it not be great to have a promotional item that reminds them that this moving company will prevent moving pains better than the rest of them? 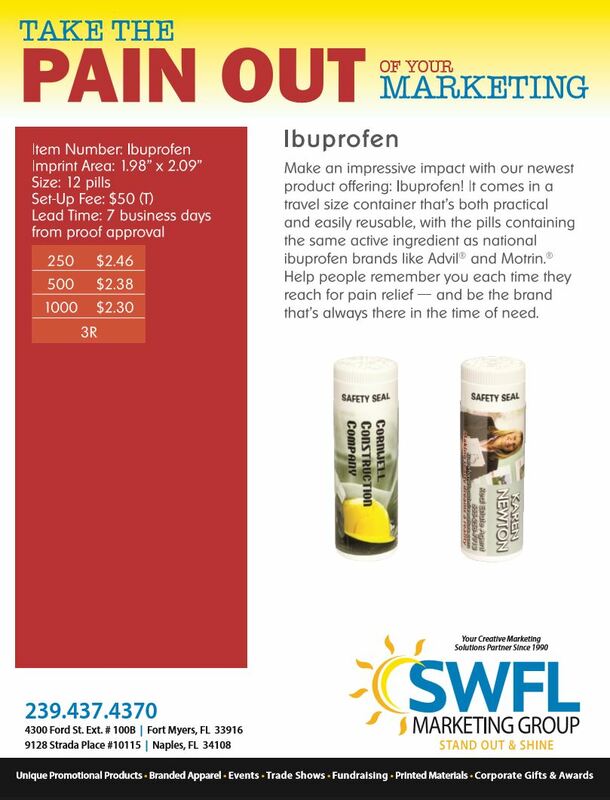 Custom packaged ibuprofen (OTC strength) will be kept by the prospect for those times when they or a fellow office worker needs pain relief. 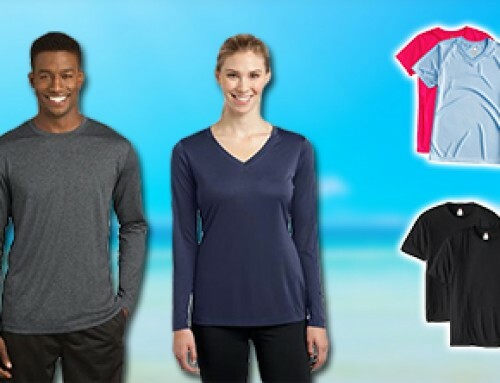 The team at SWFL Marketing Group specializes in recommending, sourcing and supplying creative marketing solutions to our clients using long lasting cost effective custom logoed merchandise so they can achieve their marketing objectives.